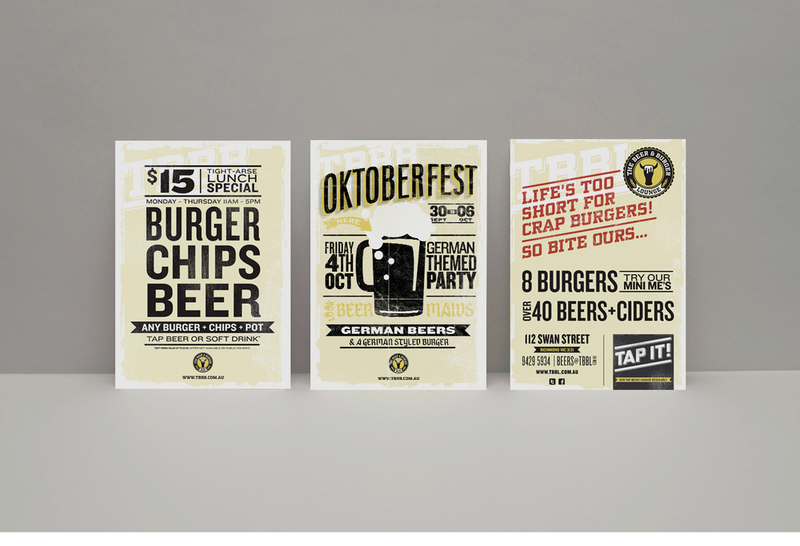 The Beer and Burger Lounge (TBBL) wanted a fun and on humorous brand for a burger joint and bar. Location was superb, in Richmond Melbourne. With the MCG and Corner Hotel a stone's throw away, we needed to tap into the sporting/gig crowd. 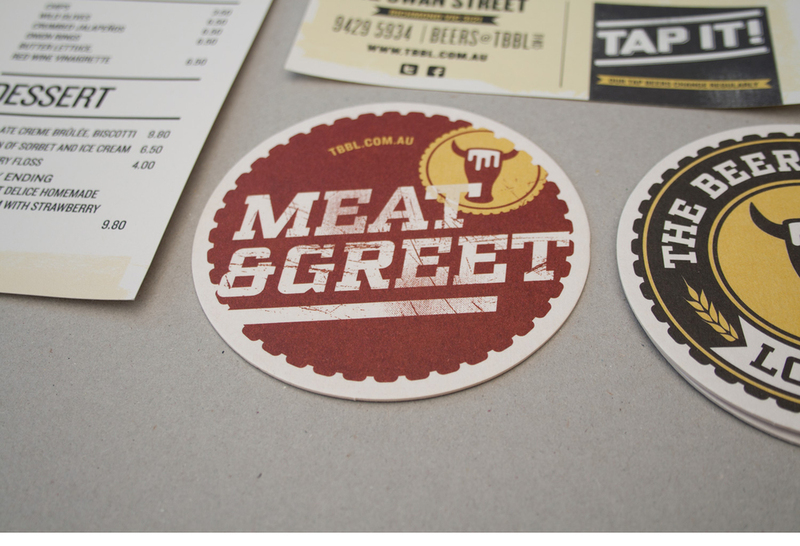 A clever spin on merging burgers and beer created the logo. Some irreverent copy lines, along with icons and graphic elements were also developed to create a visual language for all TBBL materials. 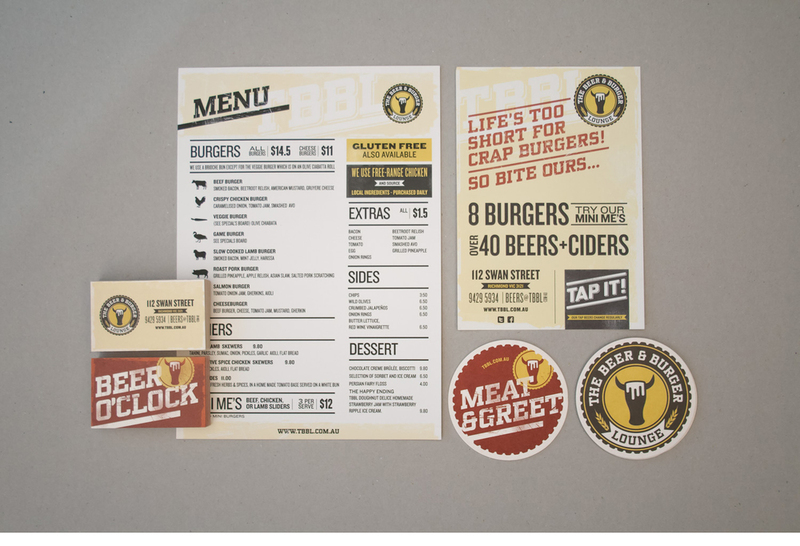 Coaster board was used for business cards and uncoated recycled stocks used for all collateral including menus, posters and letterheads.